Order a yummy meal & get it delivered at your seat! Use code FIRSTMEAL and get your first order free with us. 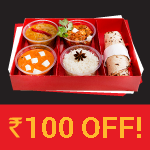 Use code: TREAT and get upto Rs 100 discount. No Minimum order value. 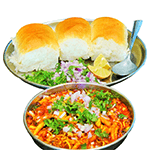 A popular dish from Maharashtra, topped with farsan and onions. Finger licking biryani cooked with spices from Kerala. All the goodness of milk served hot for your kids. 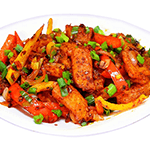 Crispy potato cooked with honey chilli and garlic. 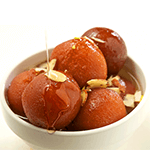 Divine gulab jamuns to complete your food experience. 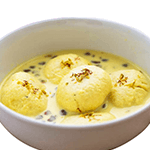 Cotton soft rasmalai in a creamy milk sauce to complete your meal. What is food delivery on train? 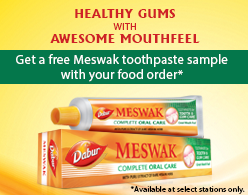 During train journeys passengers need healthy, tasty and hygienic food to satiate their hunger. There are a number of companies today who deal with veg or non-veg food delivery on train berths. Passengers can use such services during their travel. India is blessed with many food services in train. Food in train providers deliver tasty, hygienic, fresh and hot food to the train berths within the allotted time. While the food is delivered from reputed restaurants, it requires zero booking fees. It is easy to order for veg and non-veg food on train using the reputed food providers. 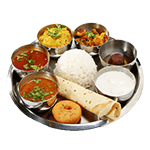 The modern day food on train delivery apps and websites offer an elaborate menu for veg and non-veg food on train. 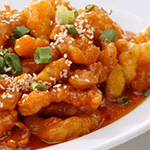 It includes continental, Indian, Chinese and other cuisines. It is simple to order food on train and get it delivered to train berth. With little efforts, the modern day travelers are able to enjoy best meals during their train journeys. Food is delivered from reputed restaurants in the locality and multiple payment options are available.